I have had the honour to read the new book by Sean Cunningham about the son of Henry VII and Elizabeth of York that we rarely hear about; Prince Arthur, the intended heir to the crown. When the name Tudor is mentioned, I dare say that it isn’t the name “Arthur” that pops up in the head of most people, but rather those of either his father, the Henry who won the Battle of Bosworth and became “the seventh” or – and probably the most likely candidate – one thinks of Arthurs younger brother, Henry, who should never have been king but still became maybe the most famous and infamous king throughout British history as Henry VIII. But in between the two Henry´s, father and son, was the firstborn: Prince Arthur, the Tudor King who never was, which is exactly the title of Sean Cunningham´s book about the nearly forgotten son of Henry VII and Elizabeth of York. He was born in September 1486, and would live for only 15 years, dying after falling ill in the damp caste of Ludlow, only months after his marriage to the Spanish princess Katherine of Aragon who would later be his brother´s first wife of six, whereby Henry not only took the throne which should have been Arthur´s, but also his queen. Sean Cunningham travels through these 15 years, exploring the hopes of Arthur´s father when the boy was born, Arthur was a name the came with expectations, taken as it was from the mythical Arthur, and speculate how England might have evolved differently if this firstborn son would have been allowed by the powers that be to live to an old age and have children of his own to inherit the crown. Arthur was not only a son to Henry, he was the anchor that tied him down to the English throne that up until then could be lost just as easily as he had won it, through conquest. With an heir, that also was the grandson of Edward IV, his claim was strengthened. Prince Arthur – the Tudor King who never was is an expose of the years leading up to a reign that never took place, and the result of which we can only piece together from the ambitions Henry VII drew up, and from which one can see the contours of maybe a different kind of monarch than his younger brother came to be. And Sean Cunningham does a good job. He also recounts the point where Arthur´s ghost return to the English court he never was head of, when the doubts of whether or not Arthur´s marriage to Katherine was ever consummated, a doubt which was highlighted in the process which is known as Henry´s great matter, his strife for annulment of the years he had spent with his Spanish queen. We also meet Henry himself in relation to the brother he barely knew, as Arthur at a young age moved to his own household at the castle where he far too early met his death. 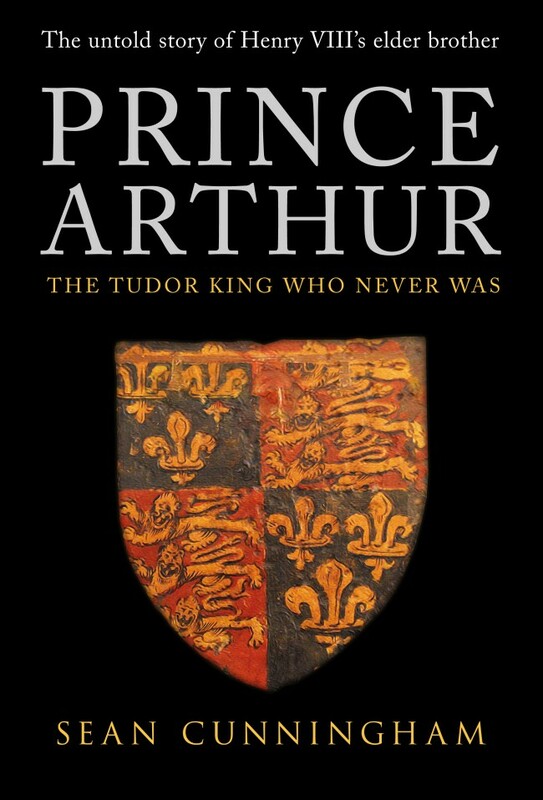 But most importantly, and unlike in many other books, here Arthur becomes an individual of his own, built on an extensive research a work rarely done previously by historians who has had a tendency to view Arthur as nothing more than a parenthesis between the two Henrys. The book is important, and well worth the read both for those who are completely unfamiliar with this part of Tudor history, which in other respects is so accessible and for those who has made the acquaintance of Arthur before.